ISBN 9790006499212. 9x12 inches. Key: A minor. 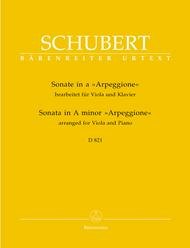 This volume is based on the Urtext of the New Schubert Edition; the solo part has been arranged for performance on the viola while the piano part is identical to Schubert's original as presented in the New Schubert Edition. 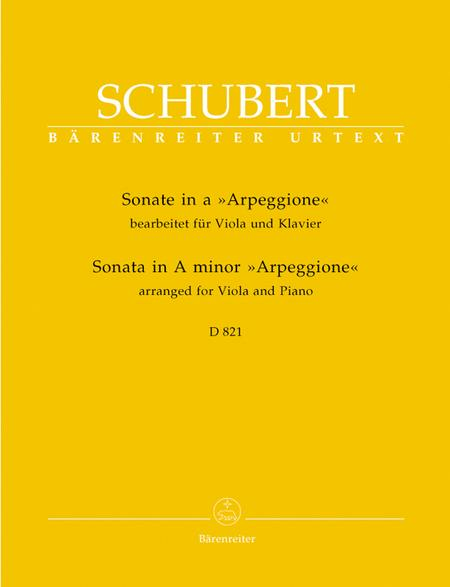 This wonderful piece of music is a grand one, with the ups and downs creating and portraying many of Schubert's curious feelings. I think this is a must for all players' list of completed.